Research on innate immunity has attracted large §interest the last years. Most of the knowledge has §its origin in insect immunity. However, while the §immune responses against bacteria and fungi are well-§known, little is known about responses to parasites §in non-vector insects and to viruses. 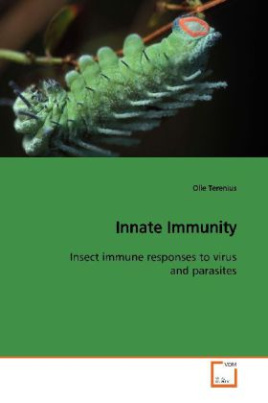 This book §focuses in particular on immune responses to viruses §among moths (Lepidoptera), but also covers aspects §of parasitic and viral immunity in the fruit fly §Drosophila melanogaster. Remarkably little is known §about immune responses to viral infection in moths §although they are heavily struck by virus infection. §This book suggests possible mechanisms for virus §defence and as such should be an inspirational §source for researchers or students interested in §immunity in general and innate immunity in §particular.